Since its summer time, I felt I should keep away from shower gels and use a deep cleansing soap. 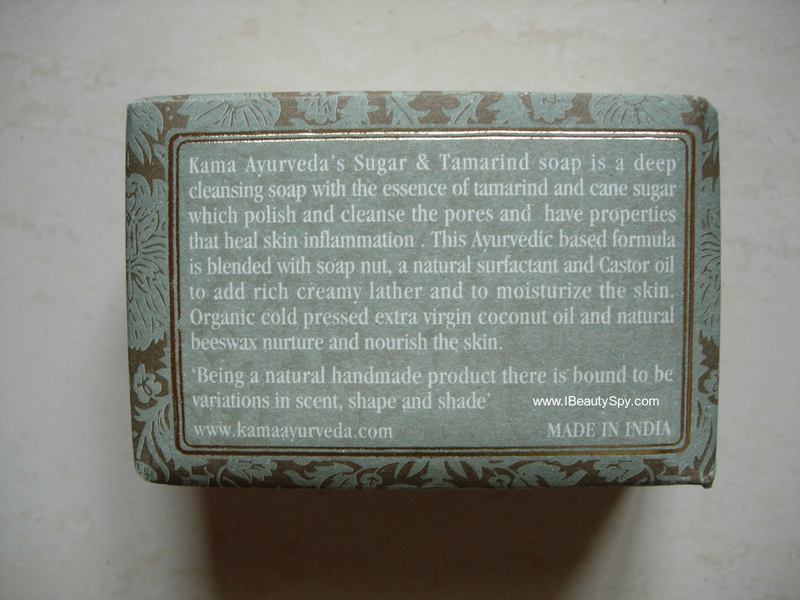 I picked up Kama Ayurveda Sugar & Tamarind Deep Cleansing Soap which was lying around for a long time in my beauty closet. I have used few Kama Ayurveda products – their rose water, lip balm, massage oils and quite liked them. So let’s see where this Kama Ayurveda Sugar & Tamarind Deep Cleansing Soap falls on the review scale, shall we? The first thing that attracted me to the soap was the unique ingredients of tamarind and cane sugar. I have never seen this combo in any soap before. Kama Ayurveda Sugar & Tamarind Deep Cleansing Soap is made with organic coconut oil and the essential oils of tuberose, cardamom and vetiver. The soap comes in a luxurious outer paper wrapper. I love the packaging of Kama Ayurveda products. 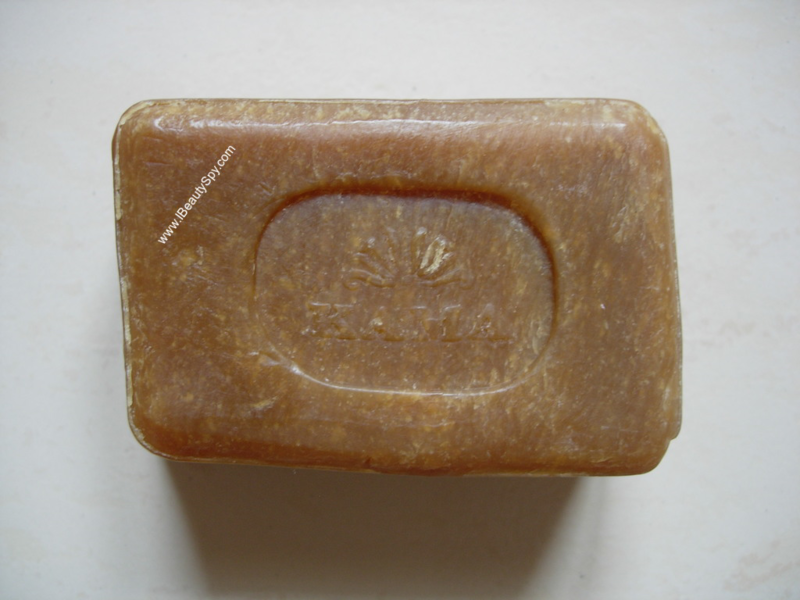 Kama Ayurveda Sugar & Tamarind Deep Cleansing Soap is brown in color and the shape is not perfect as its a handmade soap. It has a natural, herbal fragrance which feels very refreshing. As mentioned, Kama Ayurveda Sugar & Tamarind Deep Cleansing Soap deep cleanses the body and its a perfect soap for summers to get rid of the sweat, dirt and dust. If you suffer from acne, it can help cure that also. It clears all oiliness and refines, tightens pores and gives polished skin. and Though its an SLS free soap, it lathers very well. It contains natural soap nuts for cleansing. The lather is rich and creamy due to the presence of castor oil and cane sugar. 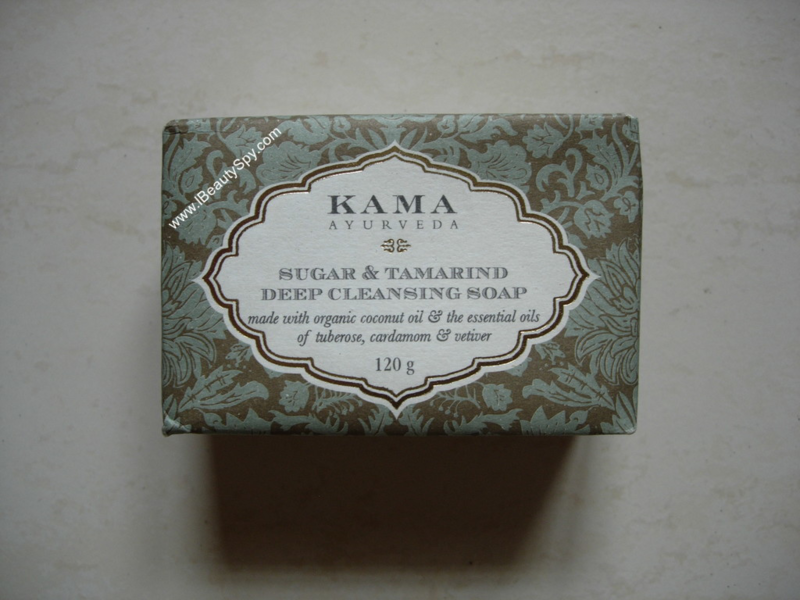 If you have very dry skin, Kama Ayurveda Sugar & Tamarind Deep Cleansing Soap can feel drying on your skin. So I wouldn’t suggest it for winters. But it is a good option for summers to control oiliness and deep cleanse pores. * Deep cleanses pores and clears oiliness. * Gives smooth, polished skin. * Reduces acne and breakouts. * 91.5% Natural and handmade. * Free from SLS/SLES, parabens. * Impressive ingredients list of tamarind, cane sugar, tuberose, black cardamom, vetiver, soap nuts, etc. * Expensive for a soap. Not a must-have. If you want to try something unique, handmade and in the mood for splurging, you can give it a try. Availability: You can buy online from here or here. Both the websites have offers for Kama Ayurveda currently. Overall, I enjoyed using Kama Ayurveda Sugar & Tamarind Deep Cleansing Soap this summers as it helped in deep cleansing my skin and controlling oiliness. You can give it a try once if you like Kama Ayurveda products. But its not a must-have product. The soap sounds good, though expensive. Actually, the Tamarind attracts me. Sounds good but very expensive! Bit pricey but worth trying I suppose! 😃 I love using natural & handmade soaps.